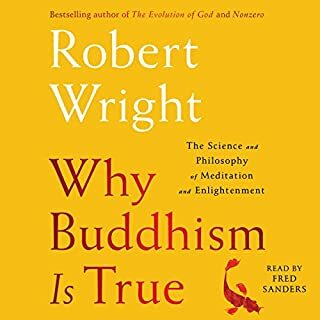 Robert Wright's Why Buddhism Is True: The Science and Philosophy of Meditation and Enlightenment (2017) considers Buddhism through the lens of evolutionary psychology, a discipline that regards natural selection as the provenance of many mental traits. Purchase this in-depth analysis to learn more. He explains why spirituality has a role today and why science, contrary to conventional wisdom, affirms the validity of the religious quest. And this previously unrecognized evolutionary logic points not toward continued religious extremism but to future harmony. Nearly a decade in the making, The Evolution of God is a breathtaking reexamination of the past and a visionary look forward. 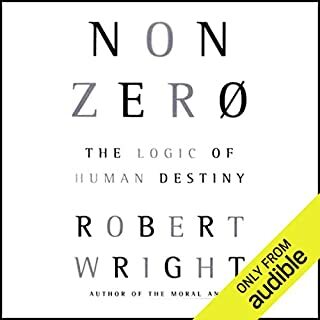 While this audio book isn't likely to change my beliefs one way or the other, it certainly has be thinking. It details, sometime with hard evidence, sometimes with conjecture, the evolution not only of God (or gods), but the evolution of religion. From the views of the hunter-gatherer to modern man, there's a logical progression of man's view of religion, and God/gods that parallels the natural progression of society. 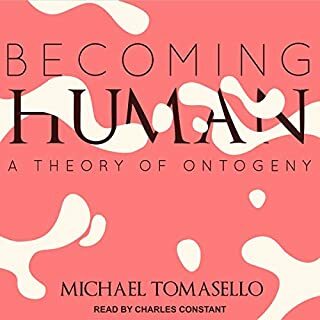 One of the questions this audio book hints at is whether God created man, or man created God. The latter seems the obvious answer after listening to this book. This does not negate the existence of God, but rather puts Him in perspective. Does Him being different than you imagined make Him any less important to you? If so, you probably shouldn't listen to this one, and instead read something that reinforces your beliefs. They're are two different schools of thought about a book like this. One, there was something in this book to offend almost everyone from each of the three Abrahamic religions (Christian, Jew, and Muslim). Or, two, by understanding the historical context and development over time of the major ideas about man's image of God and morality helps the listener better develop his own spiritual growth. Put me down in the second school. After listening to this book, I'll never look at the bible the same way again. For me, the bible has always been inaccessible since I didn't understand its proper historical context. This book has really motivated me to revisit the bible and subsequently I've started listening to "The Word of Promise", the bible read by actors and with dramatization and so far very listenable (and it only cost one credit!). The author is gifted at explaining generalities by first looking at specific events. One way of further understanding man's image of God is by first understanding the historical events surrounding the times the religious documents were first written. The author quotes one of the early religious founders as saying that "God loved man very much by giving him an earth that was suited for man". The author would say that man was suited for earth so well because he evolved into this environment. From that point of view, man's image of God has also changed over time. One note about the reader. Arthur Morey (the reader) is one of my favorite readers and he's one of the few readers who I would buy the book just because he's the reader. As usual, he doesn't disappoint in his reading and he makes me feel like I'm listening to an old friend. Perhaps better titled "What Man sees though his culture,history and intellect as God." Not what IS or is not God. Never the less well researched with plenty of interesting information. Roberts comes to many conclusions true or not true, but with food for thought. This is a fantastic book. If you find the evolution of religious thought interesting, you will enjoy this publication. Anyone that takes the time to read this offering will understand why religions have been with us throughout history. Although, the author may not see religions in a positive light, he does believe they can help people to learn to live in harmony. Read, learn, and enjoy. If God is just god, where does that leave me? This book is not for the casual reader of religious propaganda. Nor, in my opinion, is it for someone who staunchly believes the Torah, Bible, or Koran to be literally true. On the other hand, if one is prepared to listen with an open mind the author has much to intellectually stimulate you. Or to put it differently, if you are willing to concede that your Sunday school teacher didn't exactly tell you the whole story, and even if the theory of evolution appeals to your intellect a lot more than Intelligent Design, you may still not prepared to believe that we are just a fortunate accident of electro-chemical actions in a primordial soup. If so, Robert Wright wrote this book for you. He begins as other have by systematically destroying the credibility of all 3 Abrahamic religions as the inspired word of a creator God. He details, as others have, the human editing of the message to fit the political and economic needs of the era in which the text was written. Then when other authors end their book with the demotion of God to god --as if no more needed to be said -- he begins a cautious, although compellingly plausible, case for seeing the finger prints of a designer in the development of mankind. Personally, I don't need a teddy bear god to help me sleep at night, but if you are like some of my very intelligent and scientifically literate friends who are just not emotionally prepared to believe that there is no purpose whatsoever in our existence or in the creation of the universe then I highly recommend that you listen to Robert Wright's The Evolution of God. The narration was professional and moved along without delay. Clear thought and opinion, the author steps through the evolution of God and history with remarkable insight. I was worried this might be a "Religious" book, but I was pleasantly surprised with the author's thoughtful treatment of all of the Religion discussed. About two thirds of this book is great. 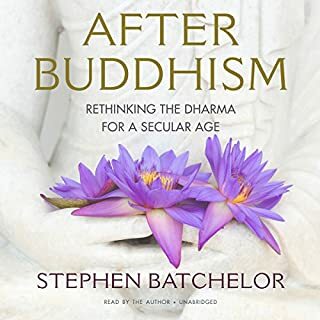 The author starts by describing early forms of superstition and then goes on to give the history of the Abrahamic religions, explaining how they've evolved from ancient forms of religion into what they are today, and speculating about what may have motivated each change. I found this very enjoyable to listen to and if this was the whole book I would have given it five stars. It stumbles for me in the other third of the book, where the author gets into what he believes are the theological implications of the history that he describes in the more interesting parts of the book. It becomes clear that the true purpose of this book is not to be a history book, instead it is about promoting the author's theology. Some might find this just as interesting as the rest of the book if they're inclined to agree with it. The problem for me is that it's entirely based on the idea that human civilization's moral progress of the last few thousand years is hard evidence that the universe has some sort of divine purpose. If, like me, you don't buy into this premise then everything that follows is pretty much worthless and quite a chore to get through. 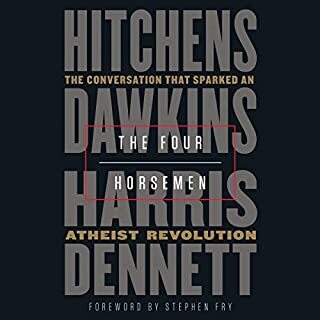 Although if you agree with the author's theology, or are able to work your way through it, (or just fast forward to the good bits) the majority of the book is a worthwhile listen. This book is a must read for anyone seeking the elusive realm of God. It is both abstract and concrete in it's exploration of man and his religious and spiritual quest. 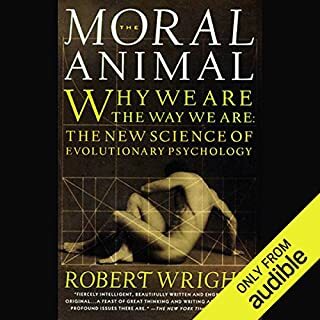 I have listened to it several times and will continue to go back to it as it is a pleasure to listen to the narration by Arthur Morey, and for the clear, well researched and well written information that Robert Wright has so wonderfully given us. Thank you Robert Wright for such a great work! It certainly was for me. It is so important to understand the origins of cultural and social elements of our lives. This book should be required reading for every adult human being. It is so thoroughly informative that I intend to immediately listen again and study it like a college course. get it. If you regret reading it will probably be for the right reasons. truth can sometimes be hard to accept. 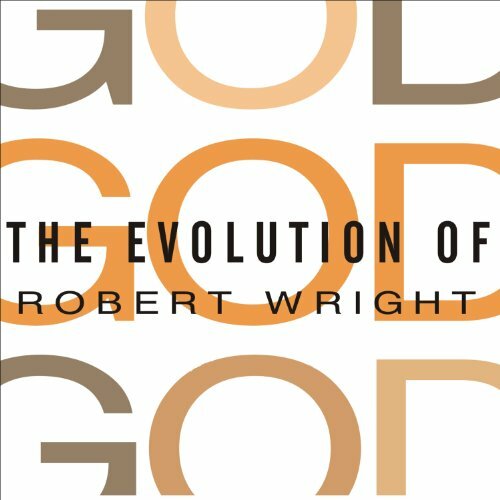 The evolution of God is probably one of the most interesting books that I have ever listened to. The author describes different gods that have been believed through human history everywhere from the acient Polytheistic religions of Babylon, to the development of the ancient Jewish monotheistic God, and through how the idea of that God has changed throughout the centuries. The book is western God heavy, and does not really jump into the ideas and concepts of god that exist in eastern religions. In other words this is really a history of the Abrahamic god. The main narrative of this book is that the concept of God has changed and evolved throughout the centuries with the implication that this concept of God has gotten closer and closer to the actual God. Personally, i do not think that he is presenting an Atheistic view of God, but perhaps a view that many theists do not have. If this book makes you question your concept of what God is, then perhaps the concept that you had of God was very incorrect... And really what is the likely hood that you ever had a very strong concept of what God is in the first place? Perhaps that cocksure knowledge of God, was really all a long a cover for ignorance? I am sure that many dissertations could be made made on this topic, however this is not a dissertation. This is a book that is meant for a wider audience and therefor is not necessarily to the same standard that an academic paper would. However, I do not think that just because this book is meant for a wider audience means that it doesnt have some profound things to say. I think that this theory should be expanded on further.